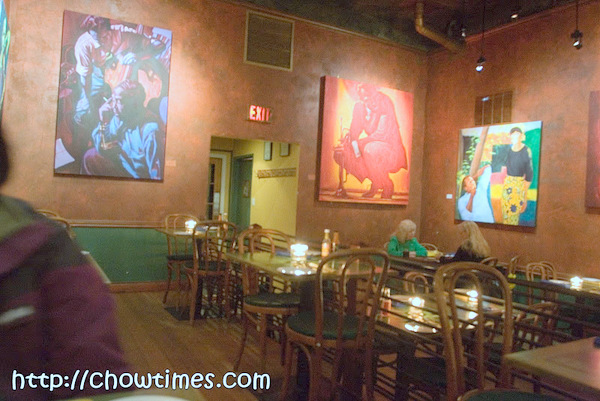 For this year’s Dine Out event, Suanne and I virtually selected our choice of restaurants rather randomly. We thought we wanted to have a bit of varieties. 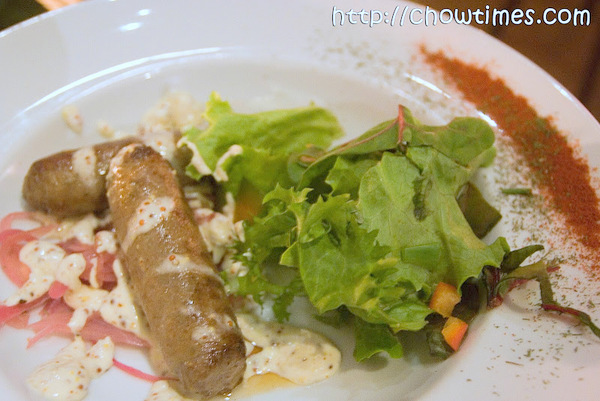 So, the first place we selected was a cajun and creole place — the Ouisi Cajun and Creole Bistro. 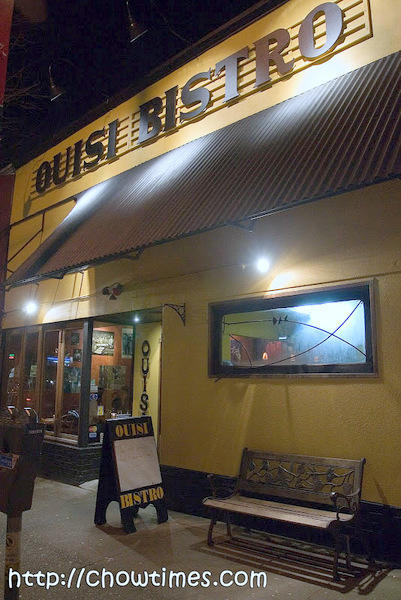 The Ouisi Bistro is located on Granville Street in Vancouver. It is located across the street from venerable West, which we had waited and waited for a special occasion to go, someday. For now, the Bistro is good enough. The place is really dim even though the picture above looked bright enough. We must be getting older as we had a tough time looking over the menu even with the lone candle on the table. I must say that it’s sort of a Frenchy setting because of the many fleur-de-lis symbols decorated along the wall. And the music was great … jazz. We were there early at 5:30PM and having the entire place to ourselves was certainly great. It was great until a group of 10 boisterous girls came in which quite ruined a quiet evening I was expecting! All I heard was their screaming and laughing. I think they got drunk. On our table was two bottle of hot sauce. While waiting for the food, we tried them. 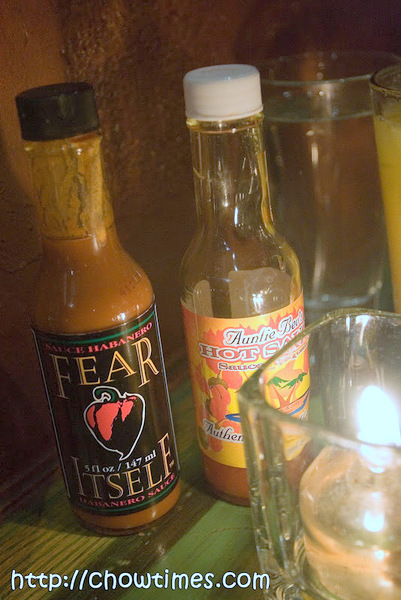 There is one called Fear Itself Habanero Sauce and the other was Auntie Bev’s Hot Sauce. Oh man … the Auntie Bev’s Hot Sauce sure was hot … we like it. You don’t really feel the heat for the first 10 seconds or so but it will gradually grow very very hot. 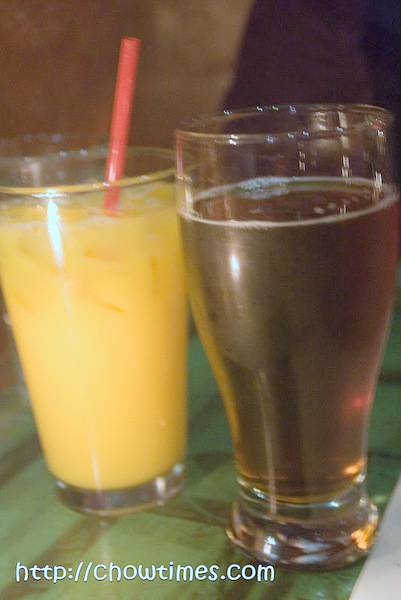 I had the Big Rock Traditional Ale which is kind of soft. Frankly, I just randomly choose a Canadian ale but was a good choice. 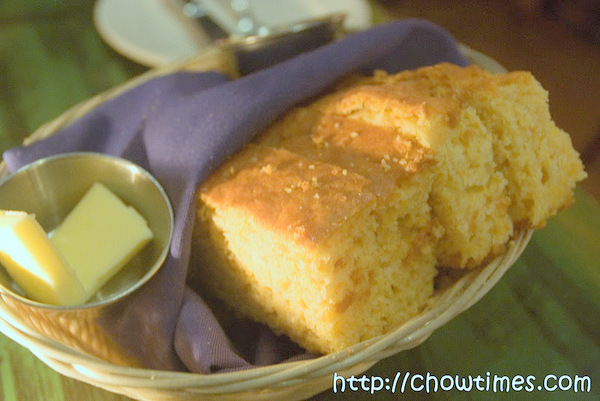 Like the few southern cooking places I had been to, Ouisi also served corn bread with butter. There are 4 really big pieces. I don’t know how this is normally served but I think it would great if they had warmed up the bread a bit. It was crumbly and sweet but just that it’s a bit dry. For dine out, my strategy is to order what I want and Suanne order what she wants. But no, Suanne insists that we order different dishes so that she can try more varieties.